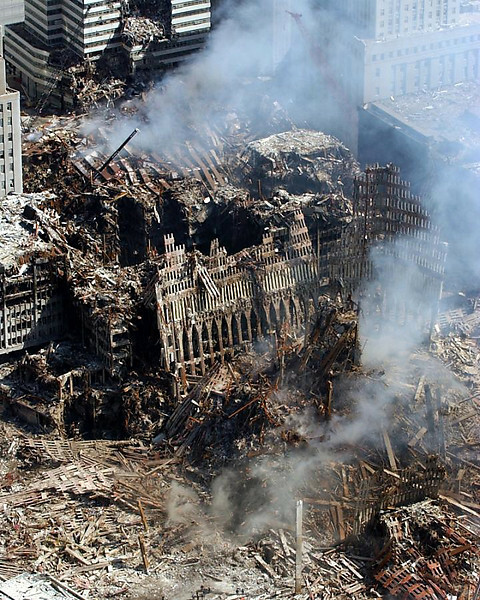 No genetically identifiable trace has ever been found of over 1100 people murdered in Manhattan that day. No one has explained how and why the more than 9000 human remains still, "frozen for future analysis" got so degraded DNA analysis has been unable to identify them. 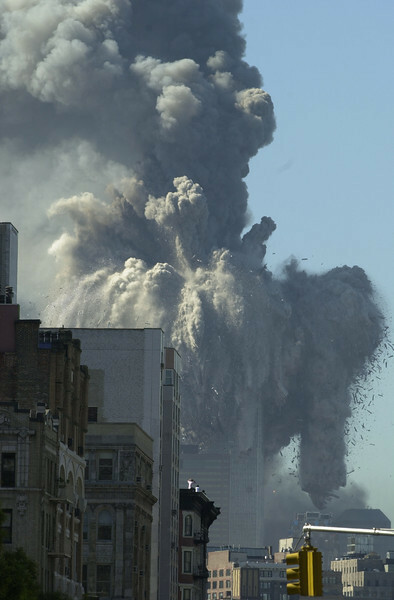 NIST's 'investigation' into the destruction of the Twin Towers goes up to the point where they began to fail, what they term: "conditions for collapse initiation having been reached", and want us to believe everything that followed, namely, the systematic and highly-explosive destruction of both of the intact structures below, was inevitable. This, despite the high redundancies built into them. 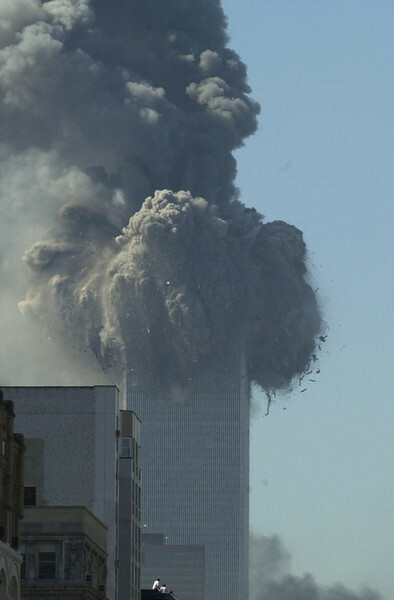 The fact is, that like Building 7's implosion, the destruction of these buildings through their vertical axes cannot be explained without explosives. The 'pile driver' theory does not match observations. Even a cursory look at the "investigations" done on 911 (FEMA, The 911 Commission Report, and NIST's reports on the destruction of the Twin Towers and Building 7) shows they were investigations in name only. *see analysis by David Chandler, Jim Hoffman, Steven E Jones, Kevin Ryan, and others. *NIST is a NON REGULATORY agency of the Department of Commerce. 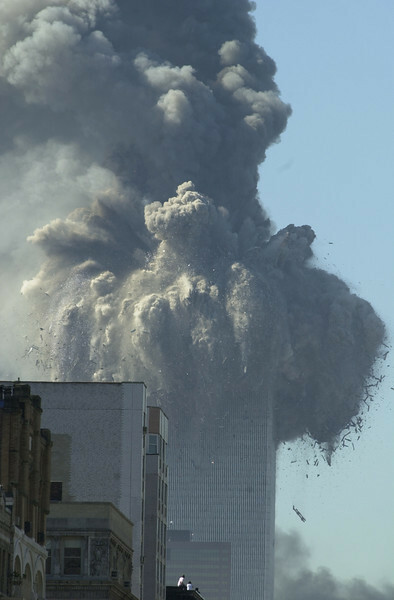 There is no question many of the claims attributed to the '911 truth movement' are speculative, irresponsible and downright false. This does not change the fact that there is a huge body of legitimate evidence. 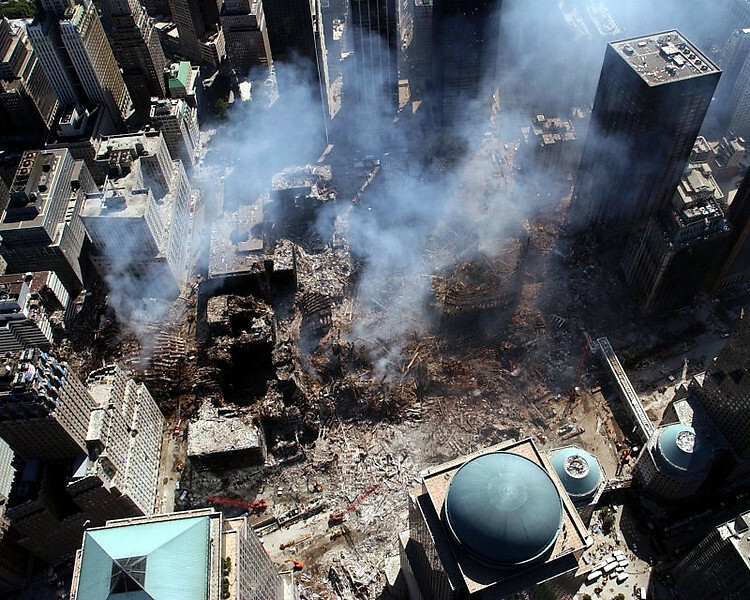 Environmental anomalies at the World Trade Center: evidence for energetic materials [peer-reviewed. Never challenged]. 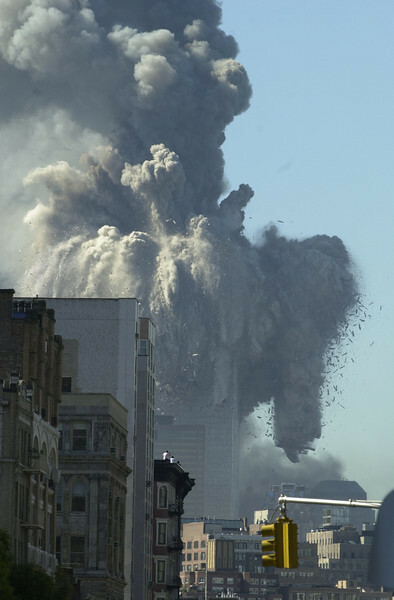 This series of photos depicting the destruction of the North Tower were taken by Noah K Murray, [with a number of images from other sources following and the image from the FEMA BPAT Appendix C preceding], and were released through a FOIA request. 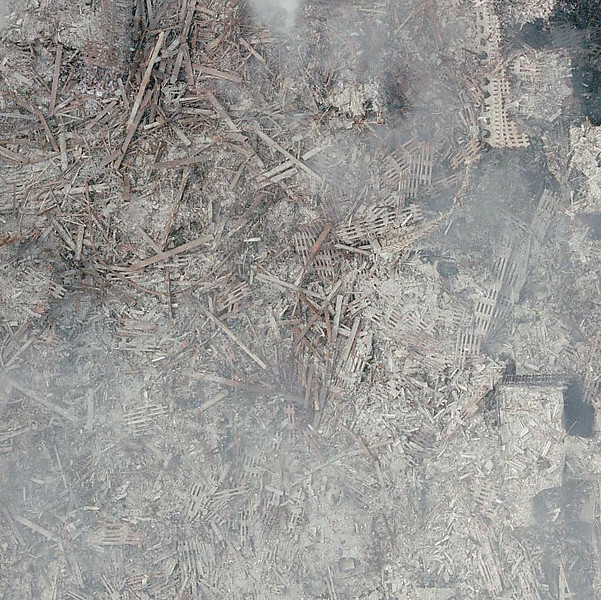 The photo above is from the FEMA 403 [May 2002] Building Performance Study (BPAT) Appendix C: A Limited Metallurgical Examination, the first 'investigation' conducted following the attacks. 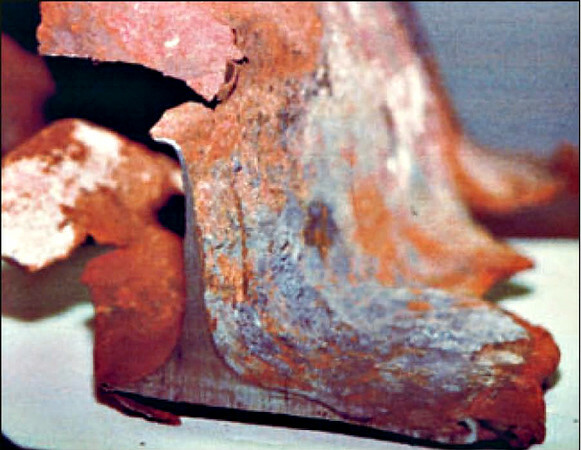 It shows what remained of a structural steel I-beam that came from the WTC 7 debris pile. According to Dr Steven E Jones Appendix C of the FEMA 403 was the only properly peer-reviewed section of the entire paper. *A eutectic is an element (in this case sulfur) or chemical added to thermite that keeps the metal in a molten state for a longer period than would otherwise be the case. NIST spokesperson Michael E Newman when challenged by Hartford Advocate reporter Jennifer Abel on a glaring omission in the WTC report. ABEL: … what about that letter where NIST said it didn’t look for evidence of explosives? NEWMAN: Right, because there was no evidence of that. ABEL: But how can you know there’s no evidence if you don’t look for it first? NEWMAN: If you’re looking for something that isn’t there, you’re wasting your time. 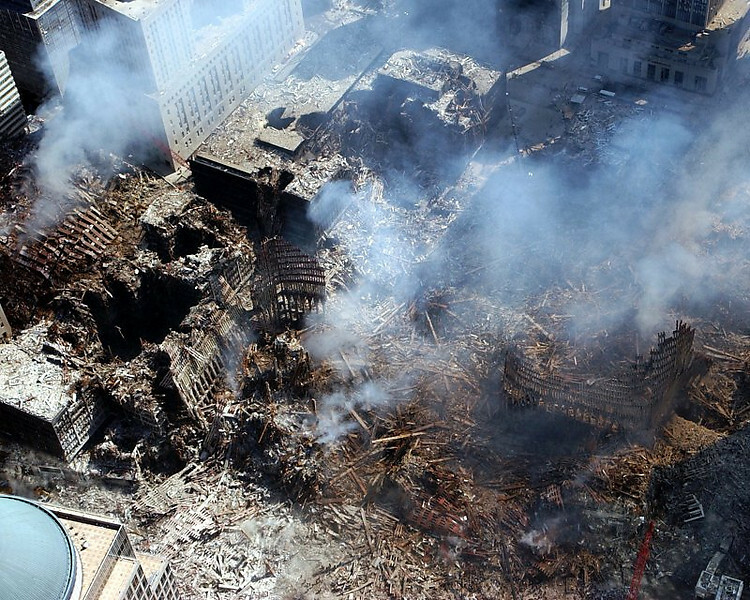 *Ignoring precedence and standard operating procedure, NIST refused to test for explosive residues. Barring a cover-up, there is no logical reason for them to have not done so. 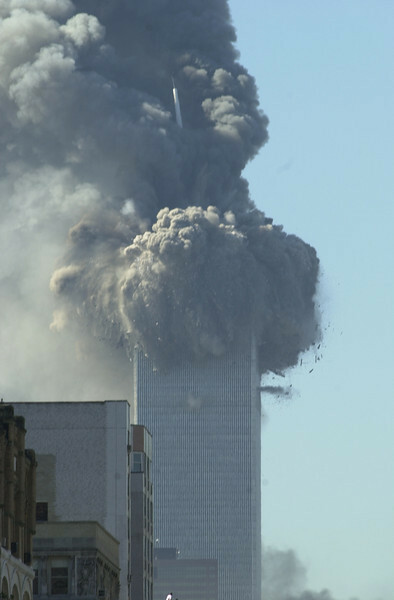 The South Tower stood for 56 minutes and the North Tower for 102 minutes after having been hit by individual commercial aircraft. 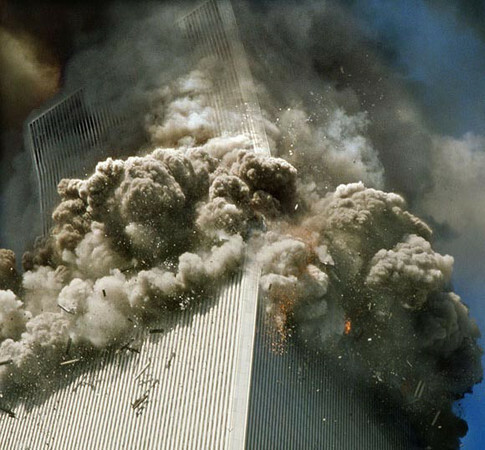 Despite the radically different angles of the plane impacts, both towers were destroyed in precisely the same manner. 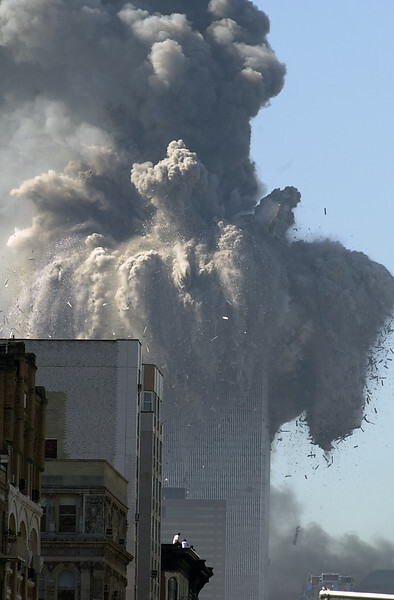 There is no question these were highly explosive events, each building was pulverized, with most of the 90,000 TONS of concrete (4 inches per x110 floors of reinforced concrete with corrugated metal decking on each side) in each converted to dust. Only the most robust most metallic elements remained. The rest were turned into small fragments and fine powder . 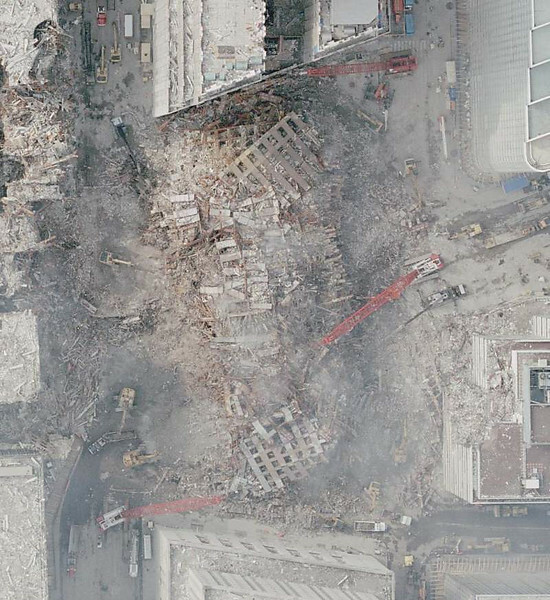 The sixty-five miles of tempered steel structural steel beams that made up the massive and elaborately cross-braced core structures were violently blasted apart, strewing them hundreds of feet in every direction, all in 12-15 seconds each. —The speed and symmetry with which all three towers came down through their vertical axes. 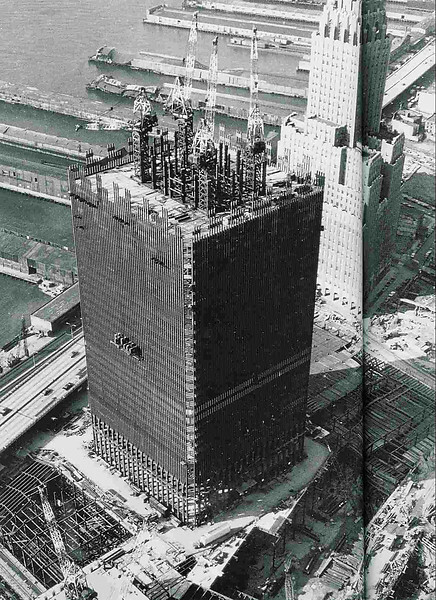 —The complete dismemberment of the superstructures, i.e. central core structures and perimeter column assemblies. 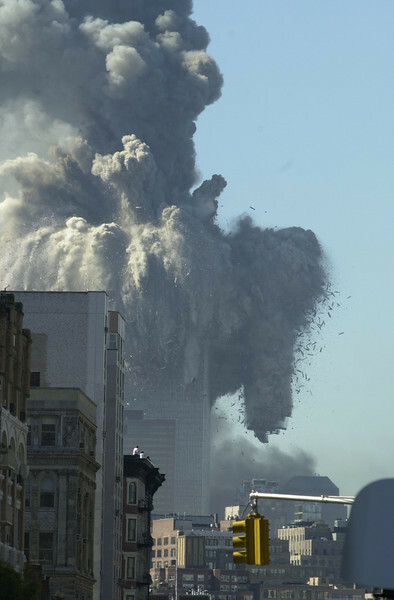 —That multi-ton steel perimeter column assemblies and core columns were ejected upwards and laterally for hundreds of feet in every direction with such force that some were embedded into the facades of buildings 4-500 feet away. 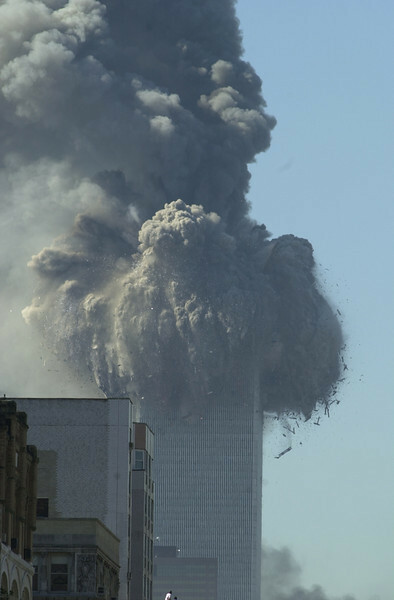 —Powerful ejections of concrete ["squibs"] seen shooting out of the building are a common feature in controlled demolition are visible in numerous videos, as well as the photos below. —That virtually no freestanding vertical columns remained. —Both molten steel (FEMA 403) and copious amounts of small formerly molten iron microspheres, a by-product of the thermitic reaction, were found in the dust. Documented by the USGS RJ Lee *who, as a result, labeled them a 'signature component of WTC dust'. They calculated the iron spheroids make up an astonishing 5.85% of the dust by volume] and others, including Dr Steven E Jones. —The fires could not be extinguished for 100 days. 'How can I be sure? I'm not a scientist or an architect.' The jury system is based on lay people tasked with deciding between competing experts. A thorough review of the evidence (photos, videos, first-hand accounts, The Oral Histories, etc)is all that is required to make an informed decision. 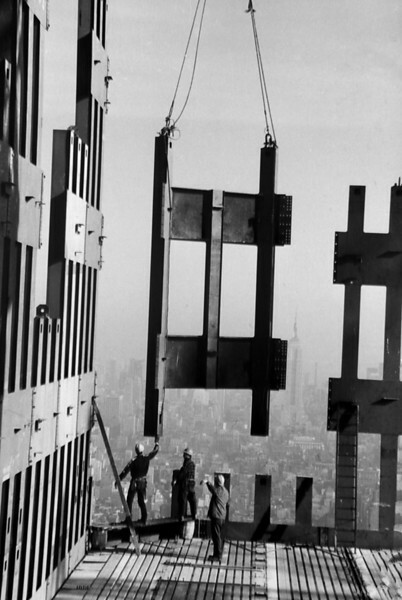 A basic understanding of skyscraper design and the properties of steel is helpful. The New York Times has the accounts of first-responders, the news accounts during those first days, as well as the analyses conducted by legitimate independent scientific researchers linked to on this page. With such clear preponderance of evidence indicating the same thing, there is no ambiguity in its implications. Watching Building 7's implosion we must ask how it was possible for a skyscraper to exhibit every feature of a planned implosion yet not have been one, when the only time those features have ever been seen in the past were during controlled demolitions. 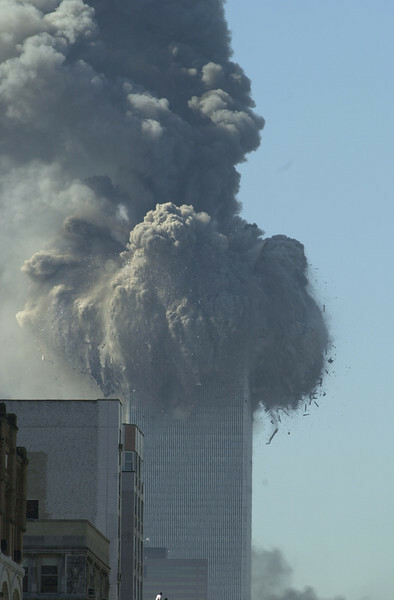 The burden of proof lies with anyone claiming anything other than controlled demolition brought the building, down. 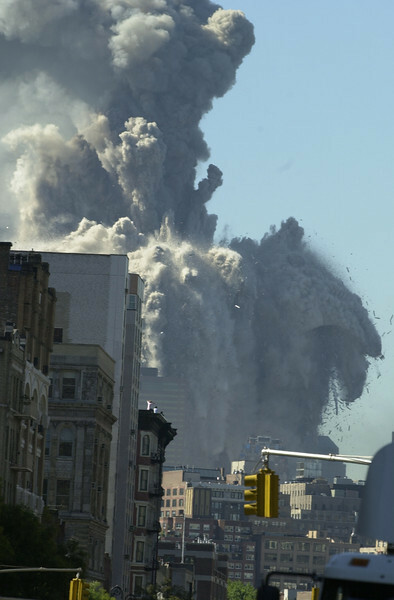 WTC 7 was reduced to a neat 3-story pile of rubble in 6.5 seconds at 5:20PM on 9/11. Large sections of the perimeter wall could be seen laying on the pile. 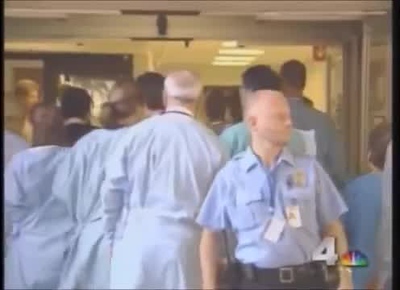 NIST, in their 'final report' on WTC7 - (after being called out on it by David Chandler state: "This free fall drop continued for approximately 8 stories or 32.0 m (105 ft).." So for the first 100' of this building's collapse (the perimeter walls) the rate of fall of the roof line was indistinguishable from acceleration of free fall. Free fall, barring demolition, is impossible in any supported structure because even a weakened one will have some resistance. 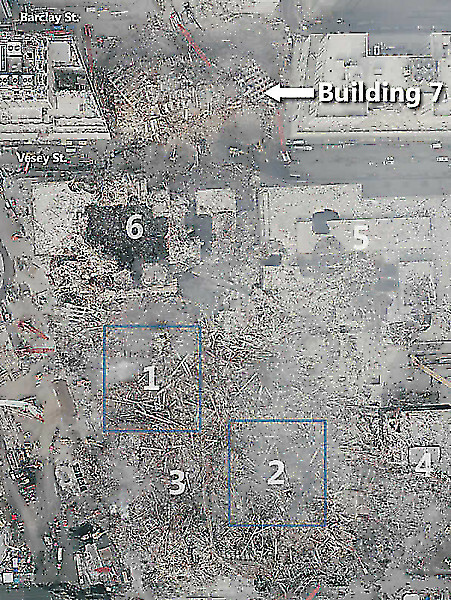 More recently, citing unstated 'public safety concerns,' NIST categorically refused to release the data inputs they used to make their computer model of Building 7's collapse. Even then, their results look nothing like the actual event. This is not how science is done. It directly undermines the crucial peer-review process which is central to the scientific process. 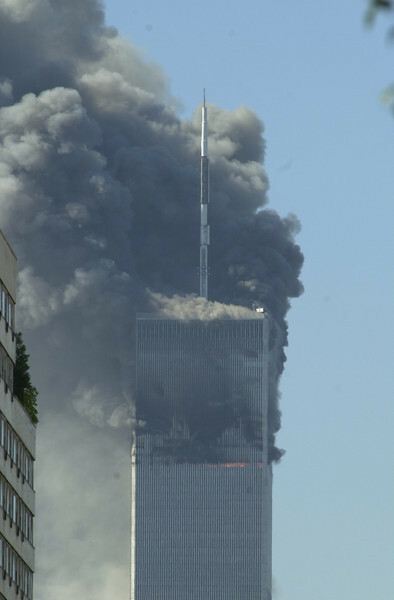 The South Tower’s upper 30-floor block changed its angular momentum in midair. This block of 30 floors then disintegrated in midair. -100 day underground fires and extreme temperatures documented by numerous sources cannot be accounted for by any kind of uncontrolled hydrocarbon fire. Daily surface temperature readings taken by Bechtel for the ASSE [NASA and FDNY took their own readings] and nearly two weeks later recorded a surface temperature of 2800F 9 days after 09/11. This despite the millions of gallons of water and chemical fire suppressants poured on them by the FDNY, rain in the days and weeks that followed, the fires could not be put out for 100 days. It turns out that thermite burns even underwater because it provides its own oxidizer. 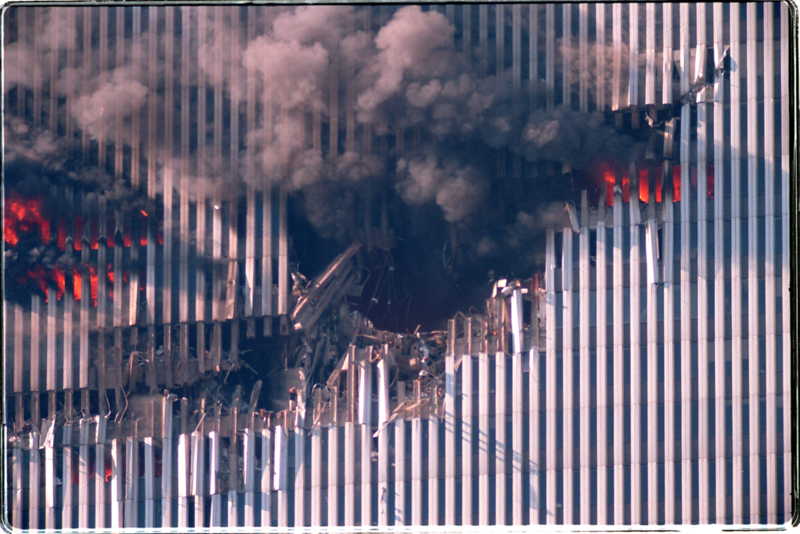 Smoldering pits with pools of molten metal in them are what remained of all three skyscrapers. -The red/grey chips. 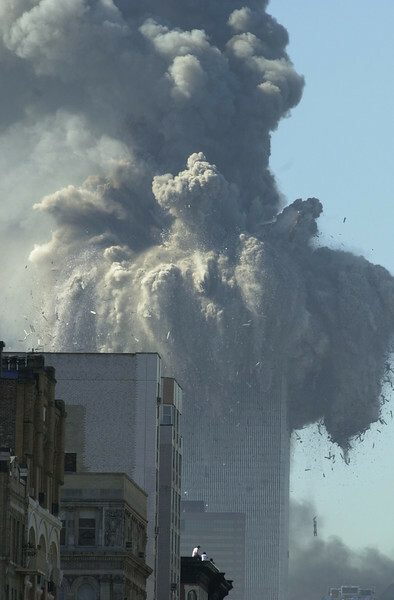 If explosives were used, Dr Steven Jones reasoned, there should be traces of them in the copious amounts of dust the destruction of the Towers generated. Having already documented the iron micro-spheres, he was the first to document the presence of minute 'red/gray' chips in the dust. He also subsequently took part in the nearly 2 year, peer-reviewed study conducted at a number of different universities, and headed by Dr Niels Harrit, head of the Chemistry Dept. Copenhagen University, Denmark. Each of the four samples they tested, contained traces of a hi-tech (nano-engineered) thermitic material, they termed, nano-thermite.. Deniers have tried to explain these away as "paint primer chips" but those compounds are not nano-engineered materials and leave elemental iron as their by-product when ignited. 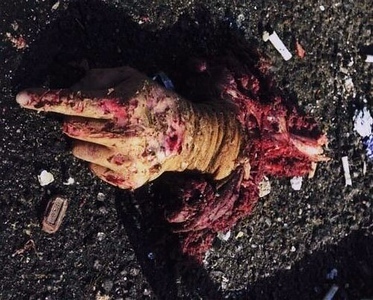 -Carbon nanotubes have also been found in the lungs of first responders. -Media blackout. 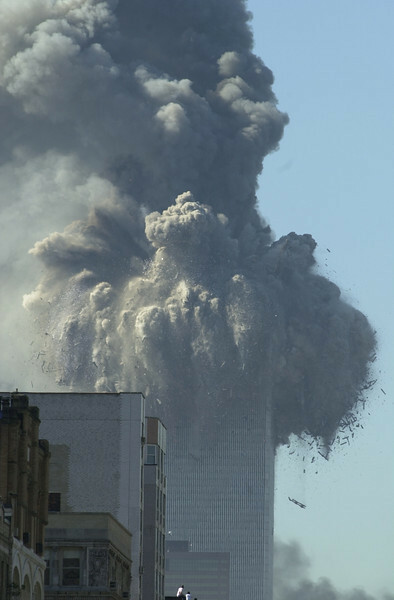 Search for Active Thermitic Material Discovered in Dust from the 9/11 World Trade Center Catastrophe in the NY Times and you will not find a word about it. Despite being ignored by most academic and corporate media sources, the paper's findings remain unchallenged within the scientific peer-reviewed literature. -Cover-Up: Investigations were postponed and underfunded. Numerous examples of deceit and the ignoring of evidence in order to make the conclusions fit the preconceived narrative. Any criminal investigator will tell you the hours immediately following any crime are the most critical. Yet the first investigation into these unprecedented, world-changing attacks, consisted of12 "volunteers" who were not even allowed access to the site for 30 days, at which point they received what one described as, 'a guided tour.' The 156 samples of steel they did manage to obtain were mostly coupons cut at Freshkills Landfill where the smaller debris was taken and where, even pieces they had marked, "Save for Study" were "accidentally" discarded. See also: Non investigation. As the worst structural failures in engineering history, these events merited the most rigorous and well-funded investigations possible . What they received was the exact opposite. Delayed and underfunded, they were given what amount to investigations in name only. The first was conducted by volunteers who were not even permitted access to the site for 30 days. . Later they were given what one described as "a guided tour". They were not permitted to take any steel samples from ground Zero so they had to make so with small cut outs from Freshkills Landfill. FEMA issued its report of May 2002. With regard to Building 7 they said : "Our best hypothesis has only a low probability of occurrence. Further research, investigation and analysis is necessary to resolve the issue." On the Twin Towers: "With the information and time available, the sequence of events leading to the collapse of the Twin Towers could not be definitively determined." [FEMA May, 2002]. The issuing of the FEMA BPAT coincided with completion of the clean-up and disposal of evidence at Ground Zero. Only one section of the FEMA BPAT that was peer-reviewed, -Appendix C A Limited Metallurgical Examination. The reluctance on the part of the Bush administration to investigate the attacks was shocking and revealing. It was 400 days before 9/11 Commission was formed, and then, it was only because of the outcry of victim's family members who, when it was all said and done, were left with 70% of their questions unanswered. It, like the rest of this, speaks for itself and the more one looks at the evidence, the worse it gets. To this day, no regulatory agency has investigated these attacks. There have been numerous examples of misdirection, ignoring and denying of evidence, and bad science from FEMA, the 911 Commission, and NIST, but no justice for those murdered that day. Shock & Awe Like the nanothermite documented in the Harrit 2009 paper the anthrax spores used in the attacks that closely followed 9-11, have been forensically linked to US military insiders. Bruce Ivins did not have access to silicon-coated (weaponized) anthrax, nor the equipment to manufacture it. This Wall St Journal Online Op Ed piece is surprising accurate The Anthrax Attacks Remain Unsolved by EJ Epstein, given the author's personal website has a section on 9/11 chock-full of disinformation and lacking the most damning and compelling evidence that makes the official conspiracy theory impossible. That these attacks were carried out by the same individuals is very important to see. The anthrax letters mention 9/11 and pretended to be from Muslims. They were used the same way: to scare Americans. The media was completely complicit with daily stories of fear-mongering and the terrorists could be anyone, creating the pretext and outrage to launch otherwise indefensible and patently illegal wars of aggression. Here are some recent interviews with Graeme MacQueen on Media Roots and another with James Corbett. For this reason we should refer to the 911 attacks as the 911-anthrax Attacks. Not every fact mentioned here is sourced below but all are easily verified. Do your own research. There seems to be more nonsense and disinformation online regarding 911 than just about any other subject. The purpose of disinformation is to mischaracterize and misdirect. Yet the central claims are of 911 Truth are based on a preponderance of well-documented evidence from a wide range of sources. Physics and the scientific method demand that we follow where they lead. The red/gray chips (documented in Harrit 2009) and the anthrax sent through the mail, have both been forensically linked to US military labs. See: The Pentagon & Disinformation **Also worth reading: Disinformation: Infiltration, Misinformation, Disruption. *Newton's 3rd Law, "If a force acts upon a body, then an equal and opposite force must act upon the body that exerts the force." The law of momentum conservation derives from this law. Based on this law, the collapse of these structures should have been slowed by these opposing forces… However, scientific papers and video analysis of a number of videos show no observable deceleration of the antenna or the roof line as the upper sections impacted the standing structures below. 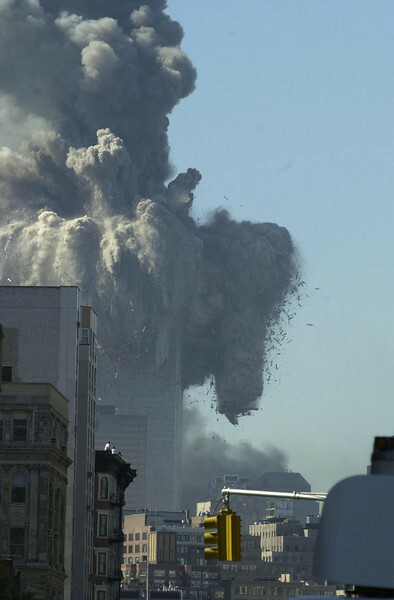 In fact, analysis shows that both towers actually accelerated as they came down. You can step through the footage frame-by-frame using video editing software.. There is also this 'sequence matrix' here http://911research.wtc7.net/wtc/evidence/videos/index.html which although not as clear, you can still tell the top sections were destroyed first, from the point of the plane impacts, upwards, timed to begin precisely as they began to fall, (this is why they seem to disappear into ever-widening clouds of dust), in what was a likely attempt to create a curtain of debris behind which to hide the destruction of the remaining intact lower portions. 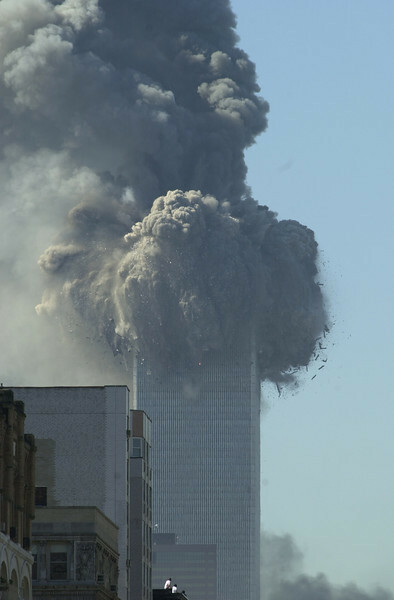 I say this bc according to the findings of forensic video analyses done by David Chandler, the lower sections were destroyed at approximately 64% the acceleration of gravity. 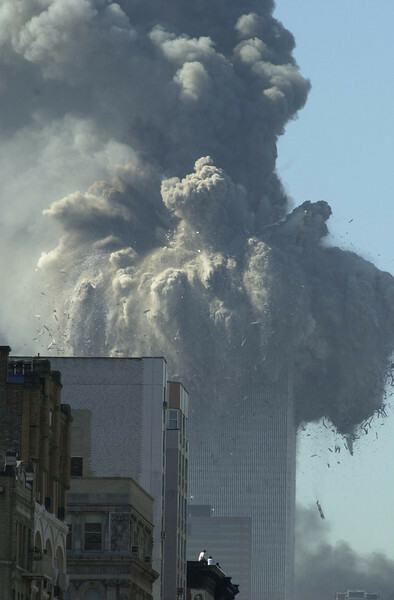 Each created a thunderous roar and volcano-like fountains of pulverized concrete, building contents, molten metal, squibs, flashes, and explosions, all documented (and then ignored in the official 'investigations) in numerous media and witness accounts. 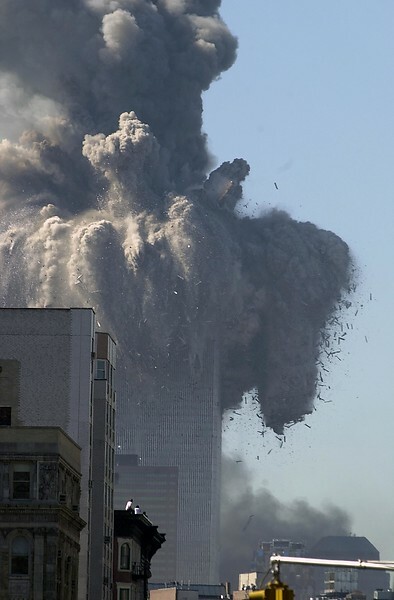 Squibs : powerful isolated ejections (containing what appear to be pulverized concrete and building materials) were seen shooting out of the building 30-40 stories below the wave of destruction above. The central core structure was comprised of 47 large (elaborately cross-braced and interconnected) box columns, in a number of different sizes. They were designed to support numerous times the live-load. Designed to handle primarily the lateral stresses on the towers ( 150 mph hour winds) the perimeter columns had redundancy (over-design) ratios that went off the charts, bc they were also very narrowly cross-braced, like a massive steel screen. 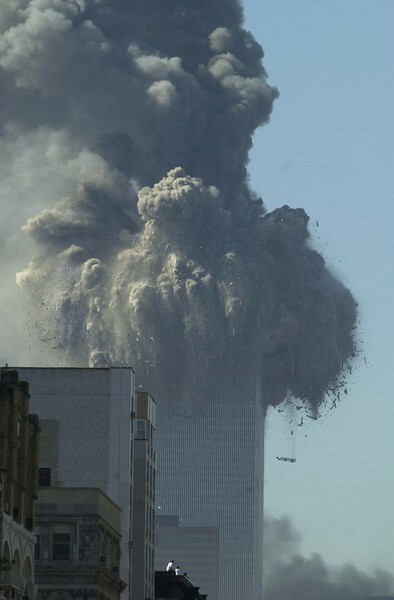 The buildings responded to the plane impacts precisely as they were designed to, they swayed on impact and then re-righted themselves, redistributing the load onto the remaining columns. More images of columns during construction. everything about the design of these buildings and the way in which they were destroyed makes the official story impossible. 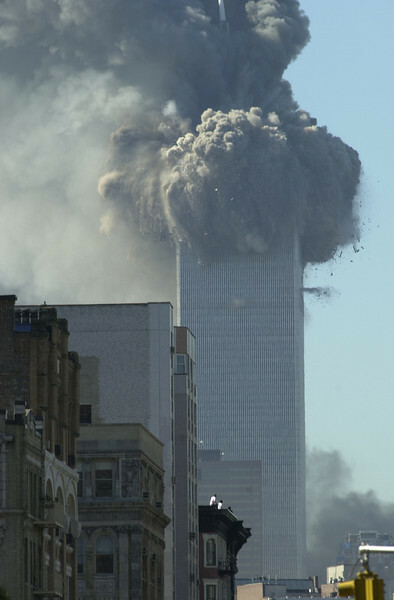 The North Tower stood alone for almost 30 minutes, before being destroyed. This photo is important because it gives a good idea of just how much of it remained intact below the point of impact. These buildings were designed specifically with airliner impacts in mind. In their day, the Twin Towers were the tallest buildings ever constructed. 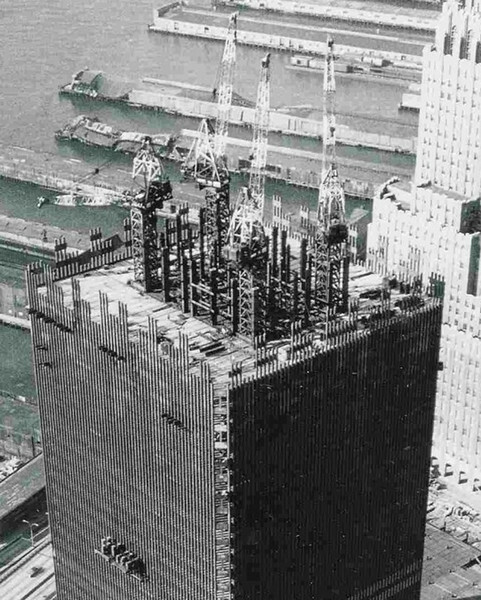 The revolutionary, award-winning, 'tube-in-tube' design they first made use of remains the standard used in steel hi-rise construction to this day. Because of their unique, tightly full cross-braced outer column assembly arrangement, they were among most strongest (in terms of redundancy ratio) buildings ever constructed. WTC2 South Tower. An approximately 30-story block of floors leans well outside the profile of the building yet never falls into the street intact, as one would expect. Instead, it disappears into clouds of dust as it re-rights itself and "falls" through the path of maximum resistance. 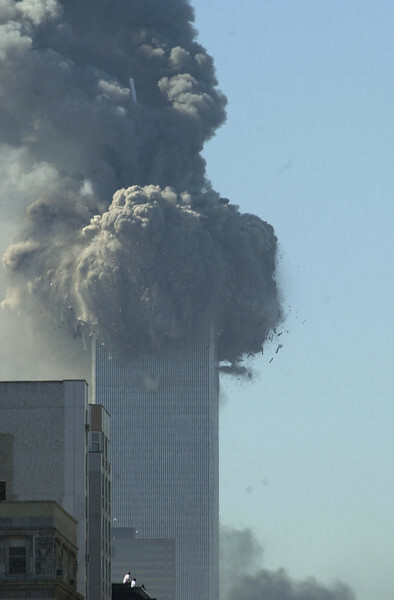 Red hot molten metal can be seen falling just below the demolition wave (the symmetry and repeating cauliflower shapes in the smoke cannot be natural events). The top section was destroyed from the point of impact, up, at about the same rate as it was falling. This is why the upper block seems to disappear into rapidly expanding clouds of dust and debris. The goal seems to have been for the destruction of the upper floors to create a curtain of debris behind which to hide the destruction of the intact lower portions below. They failed miserably. 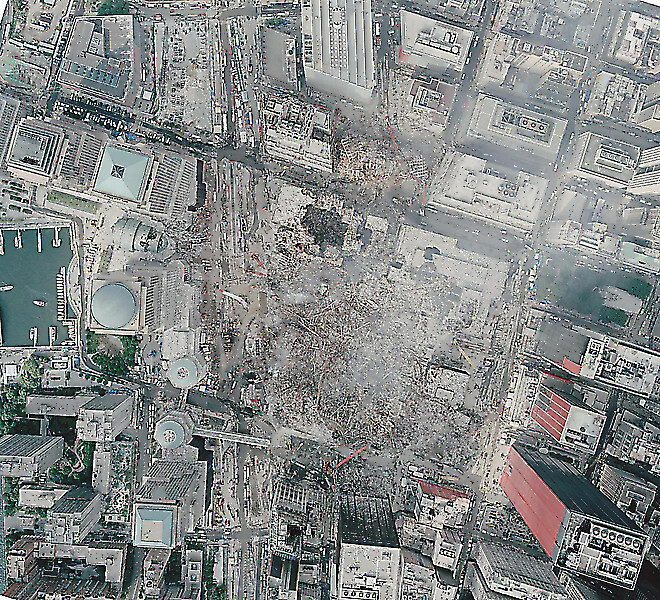 The North Tower is demolished 27 minutes after the South Tower. 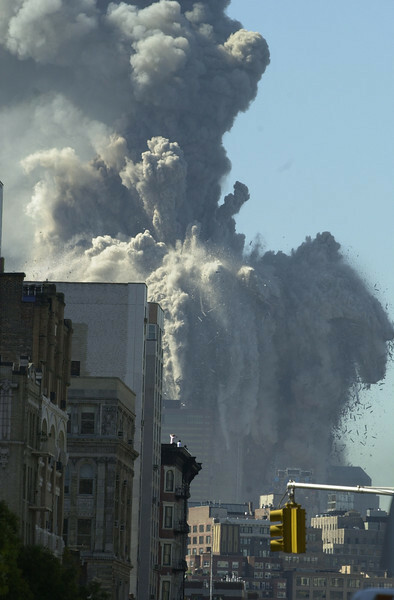 Gravity-driven building collapses or explosives? One of the by-products of the thermitic reaction is aluminum oxide given off as white smoke. White smoke poured from these pits for months. The fires could not be put out for 100 days. Building 7's 3-storey high neat debris pile, can be seen off to the left. 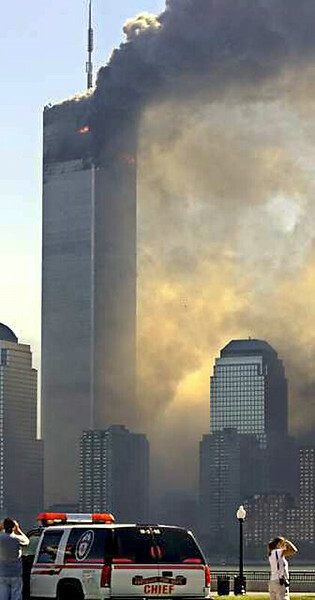 WTC 5 & 6 stood between the North Tower & Building 7, yet remained standing. Aluminum oxide (a by-product of the thermitic reaction, seen as white smoke) poured from all three sites for months afterwards. Anyone looking at this data objectively cannot avoid the demolition conclusion, however unconventional they may have been. Yet nearly two decades later, this mountain of well-documented fact remains effectively hidden in plain sight. This is more disturbing than the attacks themselves. Edna Cintron standing in the gaping hole of the North Tower and waving to the world: "Im okay. Help!"